The Excelsior will be transformed into a mixed-use commercial building. Hong Kong Business’ list of 50 largest hotels welcomed new entrants to the hospitality scene in 2018, with The Kerry Hotel, Disney Explorers Lodge, Hotel Vic on the Harbour, and Hotel Cozi Oasis making its way to the list. However, the 45-year-old Excelsior’s looming exit in March deals a blow to the industry, amidst its planned redevelopment into an office block. Meanwhile, Hong Kong’s top five largest hotels in terms of numbers of rooms remain unchanged with L’hotel Nina et Convention Centre, located in Tsuen Wan District, topping the list with 1,608 rooms. Regal Airport Hotel, with its unique location and tag as the only hotel attached to the Hong Kong International Airport by a link bridge, comes in at second with 1,171 rooms, whilst Regal Riverside Hotel in Hong Kong’s Sha Tin Wai area gets the third spot with 1,138 rooms. 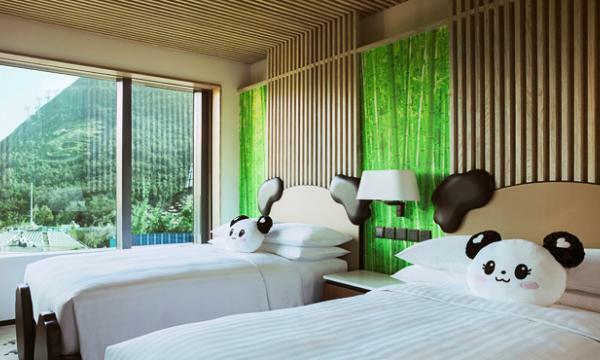 Harbour Plaza Resort City, located in Tin Shui Wai which is about 12 kilometres from the modern metropolis of Shenzhen in mainland China, and Panda Hotel round out the list at fourth and fifth places with 1,102 rooms and 911 rooms, respectively. Whilst Hong Kong’s hotel and hospitality industry enjoy some of the most robust and dynamic growth in the Asia and Pacific region, the sector has been facing challenges over the past year with old hotels and hospitality institutions facing a slew of closure and redevelopment plans. An example of this is the impending closure of the Excelsior, one of the most iconic hotels overlooking Hong Kong’s Victoria Harbour, in March of this year—a development some analysts are saying could reduce room supply by up to 8% in the famous and tourist-heavy Causeway Bay area and likely to drive prices up at competing hotels amidst the demand-supply imbalance. Owned by Singapore-listed Mandarin Oriental International, which has a wide network of hotels and hospitality institutions across Asia and the Pacific, the Excelsior’s rise and fall story is not new, especially in the rapidly growing and evolving real estate sector in the region, according to Hamabata. Whilst it’s always a challenge to see iconic names and brands go exit the limelight for good instead of being kept and renovated, the narrative, according to the JLL official, is more on safety, adaptation, and economic returns. In place of the iconic hotel, a new mixed-use commercial building is expected to be built over the next six years, which will cost around US$650m—pointing out an opportunity from this closure of an iconic hospitality institution. Other challenges in the industry have been mainly operational, with John Alexander Girard, Regal Hotels Area General Manager for Hong Kong and General Manager for Regal Airport Hotel, saying that competition is becoming fiercer, making it inevitable and necessary for hoteliers and practitioners in the industry to devise new ways to stand out and incorporate the most advanced technologies available to make the customers’ experience extraordinary. Girard noted his hotel’s pioneering introduction of an advanced 270-degree built-in 3D Projection Mapping technology in their facility to turn the hotel’s Grand Ballroom into a “mood room”, whilst also strengthening their information technology services and integration by providing better customer experience on online booking and introducing a rewards and privilege systems. With the introduction of new infrastructure connecting mainland China and the special administrative region last year, the industry is set for a brighter performance this year. Meanwhile, the Guangzhou- Shenzhen-Hong Kong Express Rail Link opened in September 2018, is expected to lessen travel time from mainland China to Hong Kong, making it easier for mainland tourists, already the biggest portion of Hong Kong’s tourist arrivals, to visit the territory in a much faster and cheaper way. “2019 should be a year to watch. We saw near historic levels of demand and hotel performance in Hong Kong in 2018, which we expect will be supported by key infrastructure projects which opened last year,” said Hamabata, adding that the strong demand will likely be complemented by the fact that relatively limited new hotel supply is in the pipeline. “The area will attract more international world-class MICE organisers and companies to host their events or meetings in Hong Kong,” he said. Another bright spot for the hospitality industry in the coming months that comes even amidst shutdowns is that there have been steady incomings of new hotel rooms, with the new stock achieving a higher quality on average. “As such. 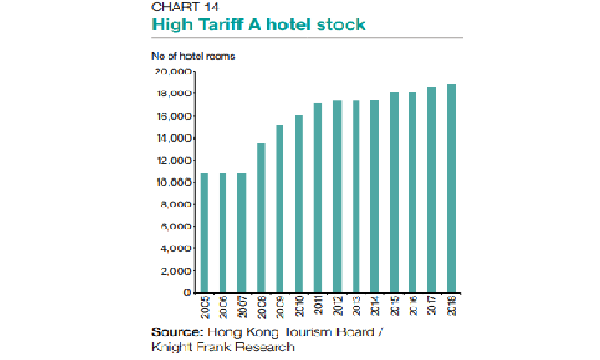 we expect a continued improvement in the average quality of Hong Kong’s hotels,” added Hamabata. “Despite the deletions to hotel supply that have been much-publicised, plenty of new hotels have opened or are under construction; even accounting for the closure of Excelsior, we’re projecting a net increase in hotel room supply in Hong Kong in 2019,” the JLL senior official said. Rosewood Hong Kong, an ultraluxury hotel and a vertical private estate on the territory’s iconic Victoria Harbour, is expected to open on 17 March of this year. Rosewood Hong Kong is the first brand launched by Rosewood Hotels & Resorts and will feature a 65-storey exterior, with 43 floors dedicated to the hotel and its residences. The facility offers 322 guestrooms starting at 53 square metres (sqm) and 91 suites starting at 92 sqm. “The hotel’s creative, innovative, and distinctive offerings will bring new vibrancy to Hong Kong, establishing a compelling destination within Tsim Sha Tsui and the Kowloon waterfront and adding an important new and differentiated voice to the city’s luxury arena,” said Sonia Cheng, chief executive officer of Rosewood Hotel Group. Another is the expected opening of St. Regis Hong Kong, which is owned by Mariott, is located within the vibrant Wan Chai district and will feature restaurants led by Michelin-starred chefs as well as technologically advanced services like e-butlers. “St. Regis in Wan Chai, at 129 rooms, this hotel will bring something new to the neighbourhood with a more intimate, luxury experience,” Hamabata said.